[186 Pages Report] The global grease market was valued at USD 2.04 billion in 2015, and is projected to reach USD 2.28 billion by 2021 at a CAGR of 2.0% between 2016and 2021. In this report, 2015 is considered as the base year and forecast period is 2016–2021. Key players profiled in this report include Royal Dutch Shell plc (Netherlands), Exxon Mobil Corporation (U.S.), Sinopec Limited (China), Total S.A. (France), Chevron Corporation (U.S.), Fuchs Petrolub AG (Germany), and others. This report categorizes the global grease market on the basis of type, end-use industry, and region. The global grease market is projected to reach USD 2.28 Billion by 2021, registering a CAGR of 2.0% between 2016 and 2021. The growth of the market is primarily driven by the automotive industry. Automobile uses grease in various parts, such as wheel bearings, ball and steering joints, universal joints, chassis, suspensions, gears, switches, and connectors. 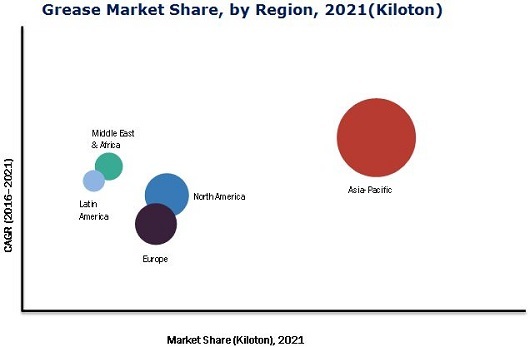 The automotive industry dominated the grease market in 2015; however, it is projected to register the highest growth rate in the overall market between 2016 and 2021. The increased need for high-quality grease for processing automotive equipment and the use of advanced technologies boost the market. The grease market is classified on the basis of type as metallic soap thickener, non-soap thickener, inorganic thickener, and others. The market is dominated by metallic soap thickener owing to global demand for multifunctional grease. Some of the related thickener soaps of metallic soap thickener are lithium, calcium, sodium, and aluminum. Metallic soap thickener is estimated to register high growth during the forecast period. 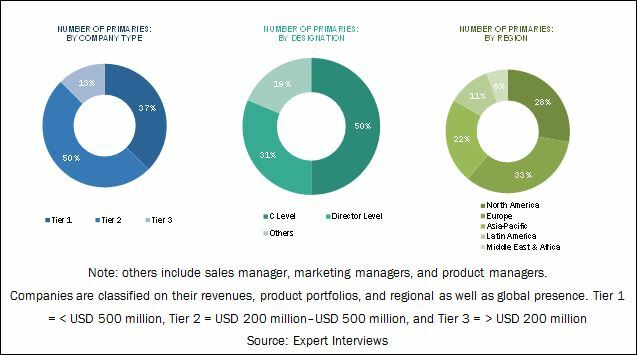 The industry is highly fragmented in terms of segments to which the products are offered, which increases the market competition for small players. Moreover, the players are focusing on developing innovative products to meet the growing demand from end-use industries. The major factor restraining growth of the grease market is unstable economic situation. The 2008 global economic turmoil has virtually hit almost all the sectors in developed nations of North America and Western Europe. There have been no significant investments in the key end-user sectors such as manufacturing, energy, and automotive. However, Asian countries such as, China and Japan have increased the production and utilization of grease. Some of the major players of Asia-Pacific grease market are Sinopec Corporation (China), Petronas (Malaysia), Idemitsu Kosan co ltd (Japan), and JX Nippon Oil & Energy Corporation (Japan). The players in this market need to compete with each other with respect to prices and offering wide product range to meet the market requirements. These companies are expected to develop new strategies and innovative technologies for the grease production. 11.4 Idemitsu Kosan Co., Ltd.
11.13.2 Balmer Lawrie & Co. Ltd.
11.13.6 Harrison Manufacturing Co. PTY Ltd.
11.13.8 Indian Oil Corporation Ltd.